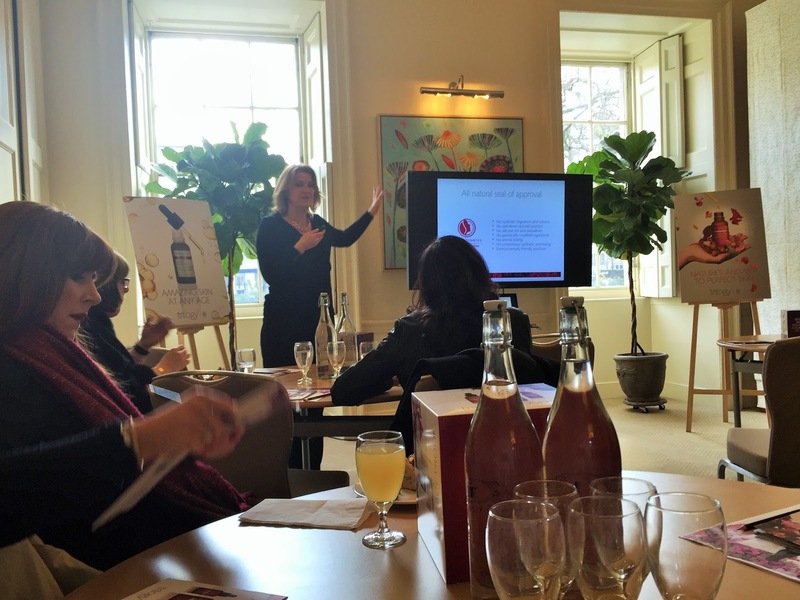 Back in February, I attended an event hosted by skincare brand Trilogy in London. The event was to provide an introduction to their new age-proof range and get the chance to try out a couple of the products - the CoQ10 Booster Oil and the Line Smoothing Day Cream. Trilogy is one of those brands that I might never have got around to trying had it not been for blogging. However, having received their Make-up Be Gone Cleansing Balm a few months ago, I already knew that I wanted to discover more of their products. The cleansing balm is one of the gentlest, most nourishing cleansers I've ever had the pleasure of using and it's formed a part of my daily skincare routine for a while now. Branching out and trying some of Trilogy's other offerings was something I was planning on doing in any case, so I was very lucky that I got the opportunity to find out a little more about the brand in the process. The event itself was very interesting, not least the talk we had which explained a little about Trilogy's background. Started by two New Zealand sisters who wanted to harness the power of rosehip oil for natural skincare, it has grown into a brand which is clearly passionate about sourcing the purest organic ingredients and producing skincare in an ethical and sustainable way. Trilogy products are not tested on animals, their packaging is recyclable, and they are certified natural by NATRUE (The International Natural and Organic Cosmetics Association. Suffice it to say that by the end of the talk, I was left in no doubt that when this brand claims it is natural, it means that in the most literal sense and it applies to every aspect of what it does. Chia seed - contains the perfect 3:1 ratio of omega 3 to omega 6, also anti-inflammatory, helps to strengthen cell membranes and nourish skin. 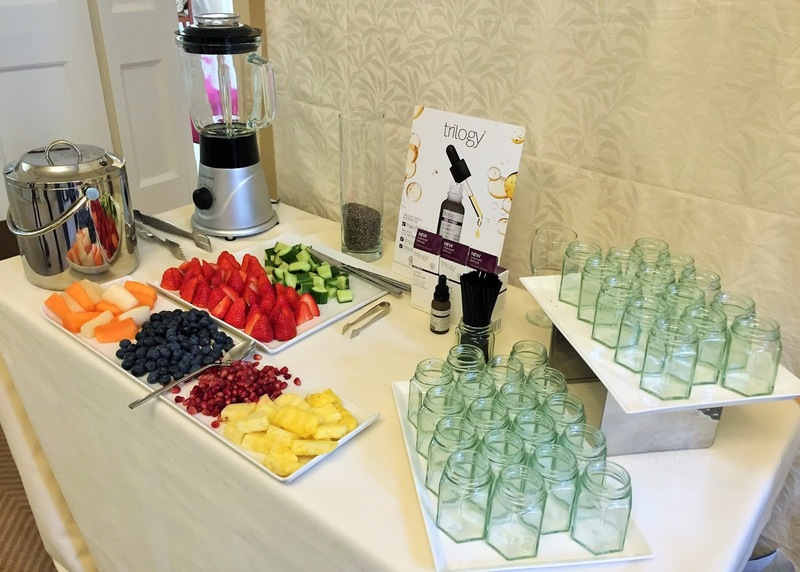 We were even invited to create our very own version, in smoothie form! The gorgeous Jess and I gave it a go, and can confirm that not only is Glycablend good for your skin, it also tastes pretty great with a bit of pineapple thrown in for good measure! According to Trilogy, their clinical trials of Glycablend have shown it to reduce the breakdown of collagen by up to 88.9%. Needless to say, I was excited to try the products for myself. As I mentioned in a previous post, I've recently established a new skincare routine and have been feeling that my skin has benefited from it, so I was curious to see whether switching up my usual serum and day cream for these Trilogy offerings would make much difference. First up, the Line Smoothing Day Cream, with hyaluronic acid, hydroxyproline and Glycablend. The first thing I noticed about this day cream is how very nourishing it feels to use. Just like the cleansing balm I already had, there's a certain richness to it without it being in any way "too much". It is almost entirely without scent - there is just the faintest hint of something vaguely "plant like" (technical term) which I find very pleasant. The CoQ10 Booster Oil with co-enzyme Q10, tamanu and Glycablend also shares the same nourishing quality and faint, pleasant scent. The instructions are to gently massage two to three drops into cleansed skin morning and/or night. I've been using it twice daily for just over three weeks now, and I can see that this bottle is going to last a good few months to come. At night, I apply it before my Avene night cream, and in the morning, I follow it with the Trilogy Line Smoothing Day Cream. I find that both take a few minutes to absorb into my skin, but that doesn't bother me. I just complete other steps in my morning routine in between applying these products and my makeup. So what about the results? I think it's difficult to tell when you have already been using a good routine with good products and already felt that your skin was benefiting from that. However, since incorporating these two products into my routine, my skin continues to feel and look good, certainly in terms of plumpness/firmness and radiance. The products haven't (yet) made that much of an impact on the fine lines on my forehead, but looking at the overall condition of my complexion after a few weeks of use, I'm inclined to believe their claims of stimulating and protecting collagen and boosting dull skin. I also think that the gentle massaging of the serum into the skin helps a lot. While I usually just pat my serums in, I'm a firm believer in facial exercises for lifting and firming - it works on our bodies after all! - so I'm not quite sure why it's never occurred to me to combine the two before. Will I continue to use Trilogy's Age-Proof range? Definitely! The products feel amazing to use and I'm seeing results. What's not to love?! I love the sound of the brand, and I do like rosehip oil in my skincare, so I guess I´ll need to check them out eventually. Ooh these products sound intriguing - I feel like I need to start taking more practical steps in taking care of my skin.. I'm so lazy at the moment! I have only started to use their range, as I was taking it slow to incorporate their products into my skin care due to my sensitive skin, but so far I am enjoying it! Would love to start using some trilogy products, they seem right up my street, but I dont want to change my skincare now when its going so well! Woderful review!This seems like a great brand! I've heard of rosehip oil being good for skin care but I've never really tried any product with it yet. I honestly haven't tried anti-aging products, I'm not interested in them yet, I guess. The event seems great. I think the smoothie-making was a nice twist. I am so obsessed with trilogy, their cleansing balm is absolutely stunning! Sounds like you had a fab time hun, I love learning about skincare. I haven't heard of this brand before, so it's a nice thing to have you introduce me to them. I wish I was invited to this event cause I would love to try out their products! 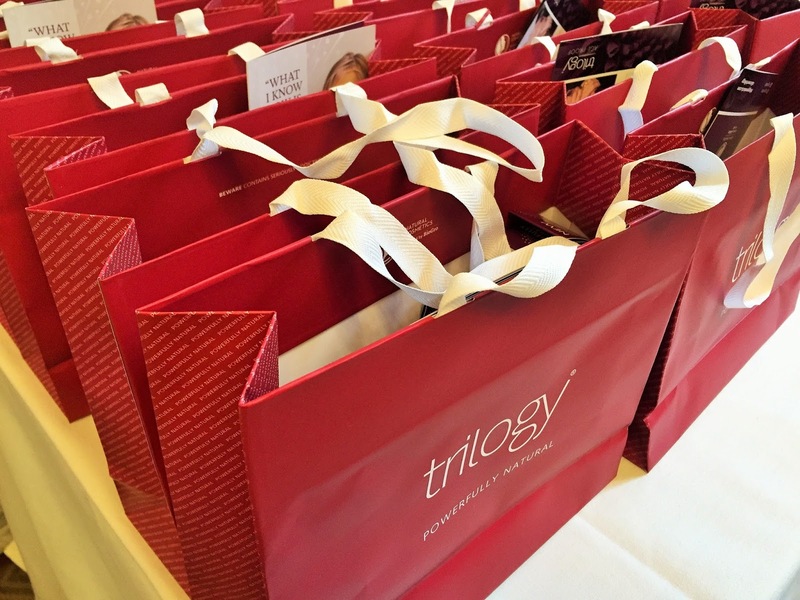 I had never heard of Trilogy .. the best part is you get to try and test them! I am a sucker for samples and trial size products.. I'll try almost anything.